Papa Goose: great “modern British fare” | 15,000kms of Food! Went to Papa Goose as part of the Melbourne Food and Wine Festival Express Lunch. Been wanting to try Papa Goose since visiting Loose Goose (the upstairs bar) a few months ago as the restaurant looks good and the menu sounded enticing as it was touted as “modern british fare”. The food was as good as expected and the atmosphere/service was great. We went for entree and main, and both had the panfried sardines with salad, which was very pretty to look at and tasted quite good but for a slight lack of salt. 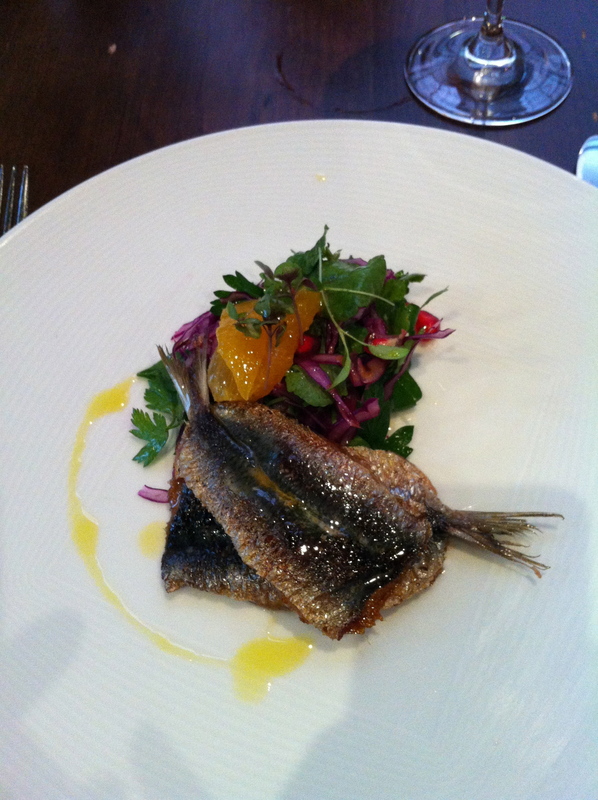 The salad consisted of flat leaf parsley, pickled purple cabbage and orange. For mains, my girlfriend had the skate with capers and spinach with a butter sauce whilst I had the chicken sausage with potato puree and asparagus. 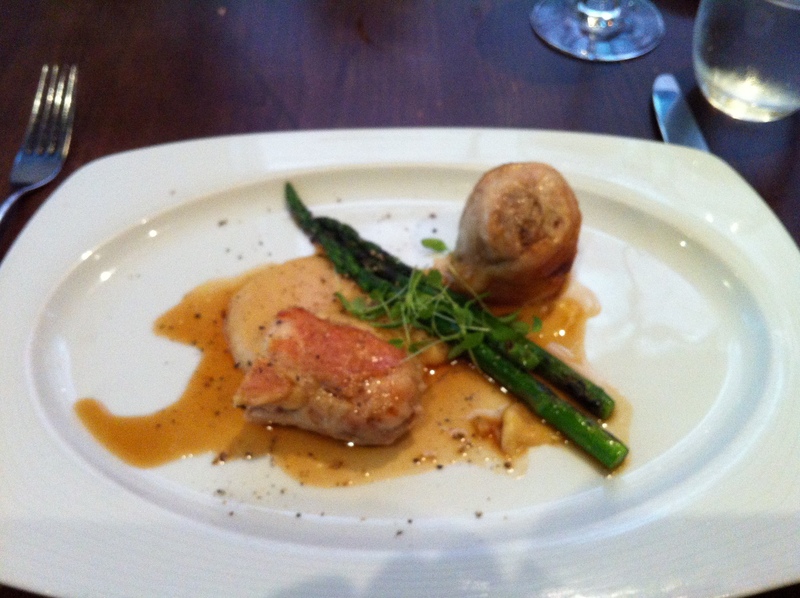 The chicken sausage was excellent – smoky flavour, perfectly cooked moist chicken wrapped in crispy chicken skin. Overall, I got to sample good cooking at a very lovely restaurant. Will I go back again to try the rest of the menu? Definitely. Previous PostMerchant… Thanks Guy for the excellent pasta!Next PostLoam… Amazing!